The Vugar Gashimov Memorial is in full swing in the sunny Azerbaijan. A quick grandmaster draw in round four was made by Teimour Radjabov and Magnus Carlsen. The world champion was in a good mood, smiling and joking at the press conference attended by many people. The Norwegian did not mind such a quick draw and promised to come back with something more fascinating in one of the following rounds. The world champion even agreed to answer one of Ljubomir Ljubojevic’s "global" questions, which that day happened to be security and violence in the world. Teimour Radjabov noted that Azerbaijan in general and Baku in particular is a safe place, as opposed to Caracas, among other places. He also remembers the world championship in Mexico having an increased level of security for the multitude of mass media people and chess fans. However, Teimour’s philosophical followup was that if there is a man training a gun at you, no kung fu is likely to come to your rescue. Magnus Carlsen started off by saying that Norway is also very safe, but there has lately surfaced a problem there - wolves. It was by coincidence that he had this topic discussed among his team members, and his colleagues advised to aim the blow at the wolf’s forehead, should it ever come to that. Joking apart, but if the subject has caught the world champion's attention, there is truly no smoke without fire. I asked both grandmasters about food they eat here and if they stick to any diet. This is especially vital for Magnus, who is always accompanied, this time being no exception, by his personal chef (the latter is likely to make an interesting source for the article, but he refuses to communicate with the press for a reason unknown). The world champion praised the Shamkir’s food, rich in vegetables, meat and fish, adding that he eats an omelet for breakfast. He says everything is to his liking here. “I only wish my results were on a par with everything else,” joked he. He sticks to no particular diet but is keen on healthy and substantial food. - If Shamkir’s food is so special, why bring your chef with you? - What do you mean why? He is here to cook it in a special way. Teimour shared about doing his best to abstain from sweets and other junk food nowadays but admitted to having a soft spot for Luleh kebab and other delicious stuff. He joked that he had never had a cook, this apparently being a privilege of the champions. The first and so far the only decisive game has taken place in Shamkir, at last. Following two misfires, Veselin Topalov did score over Shakhriyar Mamedyarov. It was a complex battle, but the long and short of it is that the Azeri grandmaster outplayed his opponent as Black in Ruy Lopez by sacrificing a minor piece for several pawns. However, in the fight that followed he overestimated his chances somewhat, allowing his opponent to equalize first, and then to achieve a decisive edge altogether. Veselin Topalov: “I could recall nothing, it must be some theory. I think 15. Bh6 gives Black a choice of many continuations. This advance, displacing my knight from the central outpost, was completely out of my radar. It feels like Black should be OK. Shakhriyar seemed to be taking risks later, giving me certain chances. I believe my 22. Qh4was imprecise and that there should be something better here. At the press conference the grandmasters studies the line 29... b4 30. Bd8!, upon which extremely strong is 30…Qb5!, not fearing 31. Ng5 in view of something like 31…h6 32. 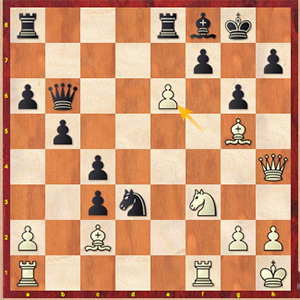 Nxe6 (Topalov offered 32.Qf2 R6e7 or 32…f5 with mind-boggling complications) 32... Qxd3 33. Qf6 Qxf1+ 34. Qxf1 Rxe6, and Black is by no means inferior in view of the threat c2-b3-Ba3. 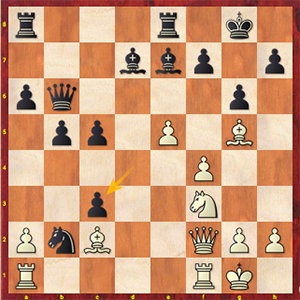 The game saw 29…Re4, but Black must have completely overlooked White’s rejoinder 30. Bf4! A couple of moves later minor pieces were traded off the board, which the Bulgarian grandmaster believed should have been avoided by Shakhriyar as giving White a very good position. Then Black gave up a pawn and allowed the opponent’s rooks take up convenient outposts in terms of blocking the opponent’s passers. Mamedyarov resigned shortly after the time control move. Sergey Karjakin vs David Navara was a draw in a well-studied line of the Caro-Kann Defence. The players demonstrated deep knowledge around the sharp complexities of the arising setup, in which the only risk for both seemed to lie in forgetting anything from their home preparation. A draw was agreed on move 43. Radoslaw Wojtaszek and Rauf Mamedov were sorting things out in the Tarrasch defense. 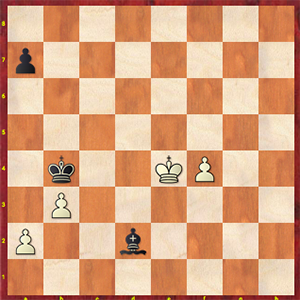 White was imprecise in the middlegame, the result being that Black took the initiative over and won a pawn as well. 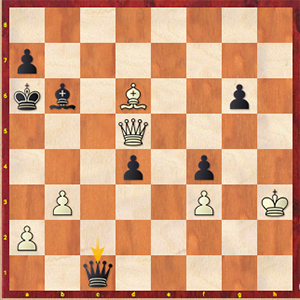 At a critical moment Rauf essayed to decide the issue by tactical means by giving up the exchange, but White kept his position together with the only moves. In lieu of these complications, Black could have opted for a positional approach by trading queens, reducing White to fight back from a very unpleasant position. The way it happened Radoslaw found himself in a rook ending down a pawn, which he succeeded in keeping together, after all. Giri vs Ding Liren was a battle that laster six and a half hours. The number of saves fully entitles Anish to claim the “ministry of defense” title for himself now. The game was a viscous struggle, typical of the English opening, in which Anish allowed his opponent to seize the initiative in the middlegame. Black was building up gradually and grabbed a pawn, while White had to be smart in defending himself by chasing the opponent’s king with checks from the kingside all the way across the board. Giri’s strategy paid off after all as he managed to get a dynamic equality, but his allowing the trade of queens could have spelled his downfall. 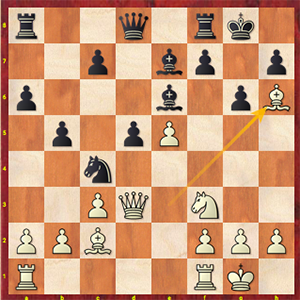 A status-quo is maintained by 54.Kh2, but the white king rushed forward 54. Kg4?, and after 54…Qg1+! 55. Kxf4 Qh2+ 56. Kg4 Qh5+! 57. Qxh5 gxh5+ 58. 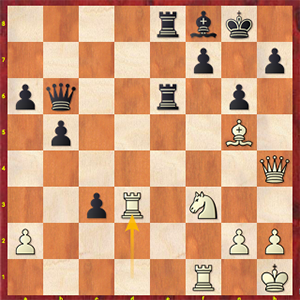 Kxh5 d3 Black ended up in a winning bishop ending despite being down a pawn. White had to give up his bishop for the d-passer, and the Chinese player only needed to find one quiet move to bring the point home. Winning was 64…a6!, which could be followed up by something like: 65. f5 Ka3 66. Kd3 (66. Kd5 Kxa2 67. Kc6 a5 68. f6 Bb4 69. Kb5 Kxb3 70. f7 a4) 66... Bb4 67. Kc4 Be7 68. Kd5 Kxa2. Meanwhile, after 64…Kc5? White escaped via 65. Ke5 Kc6 66. f5 Bb4 67. Ke6 Ba3 68. f6 a5 69. Kf7 Kd7. Draw. Ding Liren - Radjabov, Mamedyarov - Giri, Navara - Topalov, Mamedov - Karjakin, Carlsen - Wojtaszek.